Special sale price! 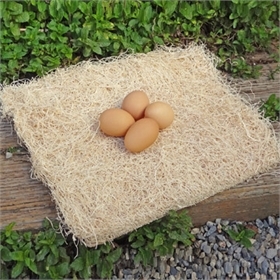 Tired of hens kicking their nesting material out of their boxes and finding cracked and broken eggs? 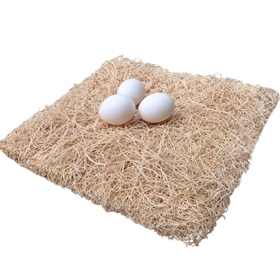 Excelsior poultry pads solve this problem--plus, they're absorbent, drying out any poo so your eggs stay clean! They're made from Great Lakes Aspen fibers, wrapped along the bottom with brown Kraft paper. You may also brood chicks on these nest pads! Lay them down like you would sod, and cut them to fit your brooding area. No more shavings in feed and water!